The Hot Rods Baits Bass Series kicked off this past Saturday at Little River Lake in Southwest Iowa. This series consists of 3 events and is an "all or nothing" format. 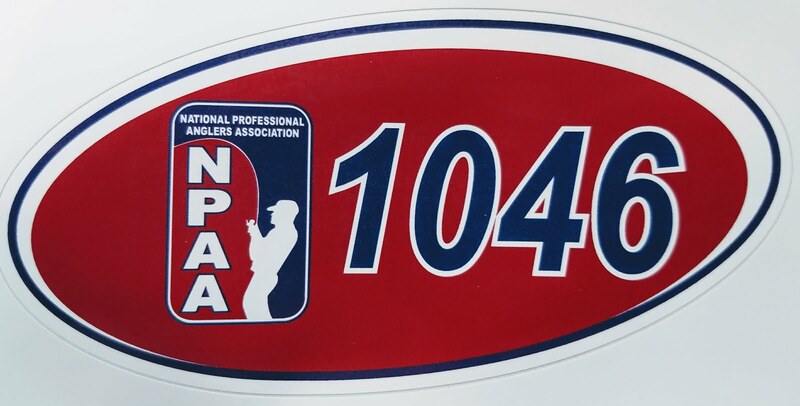 Teams must pay for all three events before they even cast a line at the first tournament. This takes commitment by team members and sets up the same competition all year long for the Team of the Year prizes. Each event, members accumulate points on their finishes and amount of keepers they catch. After the 3 events the top three teams will win cash prizes. Brian Bowles and I have teamed up once again this year, hoping to push towards the top by the end of the year, and have a lot of fun along the way. I was able to look the lake over the previous weekend due to another tournament I was participating in. This allowed me to take a look at the lake, one that I haven't seen for about 15 years. Needless to say I didn't remember much about the lake, and fishing has changed so much in the last 15 years I was starting over. With water temperatures hanging around 60 degrees the bass were feeding and allowed me to put some pieces together. On practice day Brian and I dissected the lake piece by piece, shallow water, deep water, rocks, wood, coves, main lake, and channel drops. We found fish in a lot of different places, and the fish were feeding. When this occurs it is fun, however it is hard to fine tune a game plan. Along with the task of planning for the Saturday tournament, a major weather swing was coming to the area. Winds were steady and from the north all day on Friday, and then the high pressure and southern wind started the night before the tournament. We figured this would change the attitude of the bass, and it sure did. 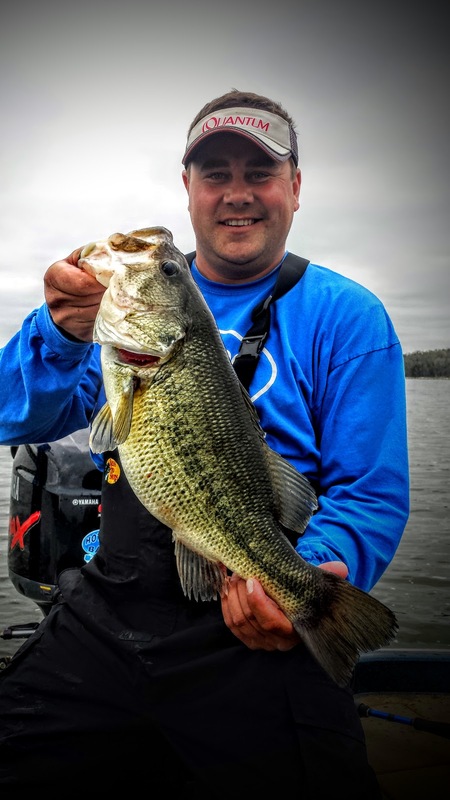 Tournament day came on Saturday and we found about a third of the bites we did on Friday and the larger bass, those weighing over 2.5 pounds, seemed to disappear from us. The forecasters actually had things right for once, winds out of the south up to 20 mph. The combination of the Minn Kota 101 Fortrex and Talons put us at ease with the wind. There is no need to shy away from days like this with the use of these tools. They really make fishing comfortable in almost any weather situation. 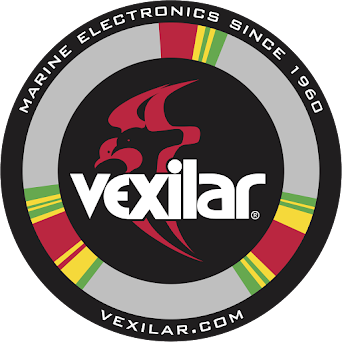 We spent every minute of the 8 hour tournament working over our Quantum rods and reels looking for six keepers. Brian ended up with the first one on a Texas-rigged craw bait, I hooked the next on a Hot Rod Baits tube. We caught both in areas of coves that we caught keepers the day before. Finally, we connected on two deep crankbait bass that made their way into the livewell. We ended the day with 4 keepers and had our chins held high after a long hard day of fishing. The weigh-in got started and anglers started reporting a rough day of fishing. Things were tough for most teams, and that put our 4 keepers in 5th place at the end of the day. 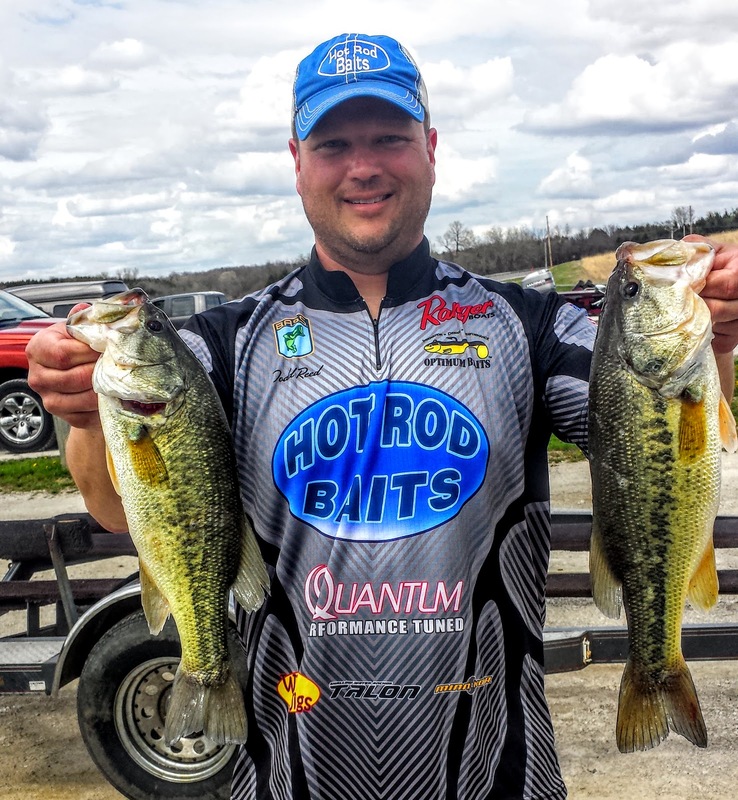 All in all, it is a great start for us on the Hot Rod Baits Bass Series, next up is Lake Belva Deer in May. Hot Rod Baits Bass Series, it was a very busy weekend. This past weekend I spent both days on Little River Lake near Leon, IA. This is a lake I haven't seen in about 15 years. The DNR recently remodeled this lake and the fish populations are booming. I don't say this too much, but the bass are over populated. It was amazing how many bass I caught in two days, and add in all the other bass my club members caught, the population is huge! That is good thing, however this particular weekend the population had many anglers shaking their head because the keeper bass over 15 inches were few and far between. To say the least, fishing was fun, but at the same time frustrating. It is hard to catch 30 plus bass and not catch a keeper. A lot of anglers even reported catching more than that without a keeper. Of course, as tournaments go someone will find the keepers and bring them to the scales. This is one thing I enjoy about tournaments, no matter how bad or how good you think you did that day, a tournament really let's you know how did against other bass anglers. This is one of the big reasons I fish tournaments, to measure up against others to really see how I did. Some days one keeper is great, while others 10 keepers is great, fishing a tournament tells you that and you can see how you did. Practice day found me driving to a lot of different parts of the lake checking things out. Water clarity can help me focus things in this time year more than anything. Water temperature is always on the forefront as I look around in April too. I spent some time graphing and charting the lake with StructureScan too, which is something that I am getting more used to using to search our structure. While fishing, I tried many techniques on Saturday trying to find a key bait that would lead to a few keepers. This was a bust, as I didn't catch a single keeper. Dozens of bass were caught that day, but nothing of good size, again, the lake is full of 13-14 inch bass, it's FUN! However, as I sat at the motel that night preparing rods for the next day I decided to go with the basics and fish as hard as I could during the tournament with what I learned on Saturday. Key baits I tied on were a jig, a River Green/Pumpkin Blue Hot Rod Baits tube, a chatterbait and a shallow crankbait. I was going to sink or swim with these baits during the tournament. Tournament day was another windy day and fish after fish were caught. I am totally enthused to have Minn Kota TALONS on my boat. These shallow water anchors allowed me to fish water patiently and slowly during the day even with 20+ mph winds. I can set these anchors down and just focus on fishing, not running ht trolling motor or loosing the spot that I am trying to fish. They really are amazing and is something that you don't really believe until you have a chance to use them first hand. Another big key was the smooth casting reels of QuantumPT provides. It was no problem to present baits in that heavy wind. It was a good two days of fishing, and even though I ended up in 5th place for the tournament I am happy with the results. I know the lake much better and fine tuned some baits for the near future. The lake will see me once again very soon, and I hope I can better my 5th place finish next time. While reading the March edition of "The Iowa Sportsman" magazine I came across a recipe I have never seen or heard about (pg. 74). 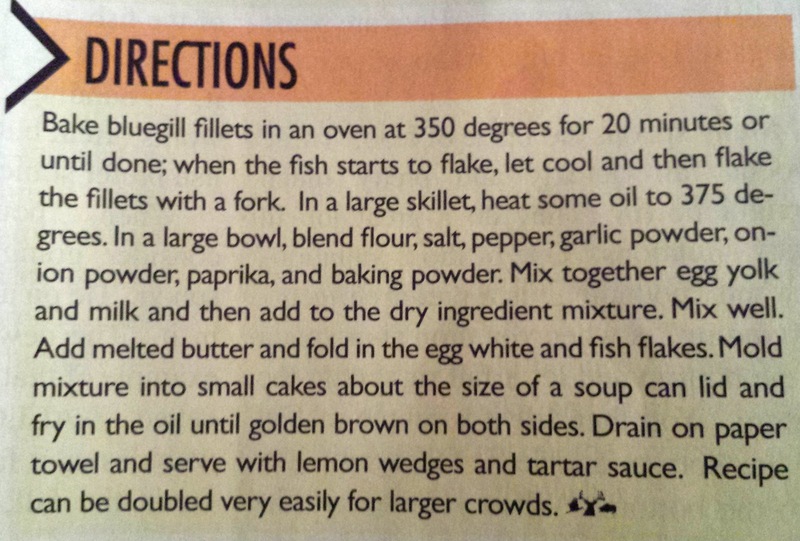 Bluegill Cakes was the title of the recipe and it grabbed my attention right away. I still remember and tell people about the time I traveled to Pennsylvania to visit my sister and her family. Her husband took me out during this time for some "hand-made" crab cakes down at one of his favorite pubs. 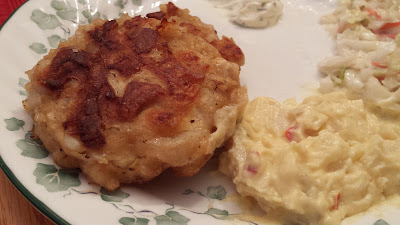 WOW, fresh, hand made made crab cakes, I won't soon forget how those tasted. To sum it up, fantastic! I have always remembered those cakes and have tried several crab cakes here in Iowa, none are close to comparing. 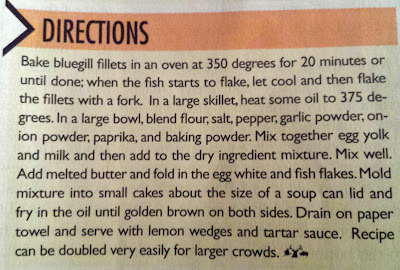 This was one reason why this recipe probably grabbed my attention. First, bluegills, which I love in a variety of ways and the word "cakes". A few notes about the process; I just placed the 24 fillets in a casserole dish after spraying with PAM and baked for about 25 minutes. Flaking them is as simple as taking a fork and stirring the baked fillets into small pieces. Try to drain or soak up unnecessary water from the fillets before you put them into the ingredient mixture. Having the burner set a little above "medium" seemed to fry them the best. Not much oil is need in the fry pan. This made 7 cakes like you see in the picture, large enough for a couple really hungry people or 3 if there are other items to eat. I hope you enjoy the recipe from "The Iowa Sportsman" magazine, each month they offer up wild game recipes, I've tried others and they have been good too, however this one is as close to Philadelphia Crab Cakes that I have ever tasted.